After the tragic events of December 31st, Chris Buckley is driven to uncover the secrets that are hidden in the small town called Solitary and the people around him. Things keep on getting stranger… and much more dangerous. Gravestone is the second of the four installments of Travis Thrasher’s “The Solitary Tales,” and the story just keeps on getting better. Travis is weaving a story that is quickly becoming an addiction of mine. Questions are raised and some of those are answered, but not many. However, Travis does not leave us behind, confused and wondering what the heck is happening. Gravestone freaked me out a few times– something that I absolutely love. I found myself thinking that a creepy, deformed old man would end up on the other side of my window looking at me and speaking my name. I found myself with eyes wide open wondering what the heck is it with Chris’ Aunt Alice and her mannequins? As with Solitary, Gravestone is filled with twists that I hadn’t seen coming and that drive me to want to read more and more. The third book in the series is titled Temptation, and will be out in stores next month. 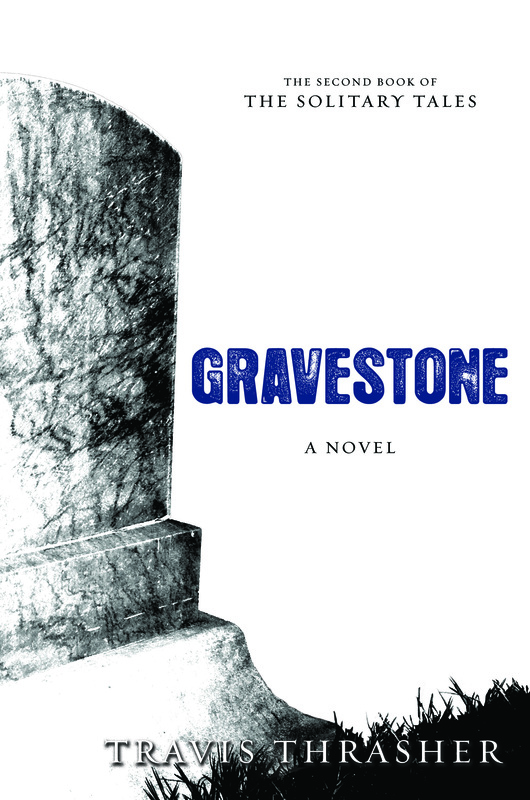 Be sure to get a copy; and if you haven’t read Solitary and Gravestone… DO IT.